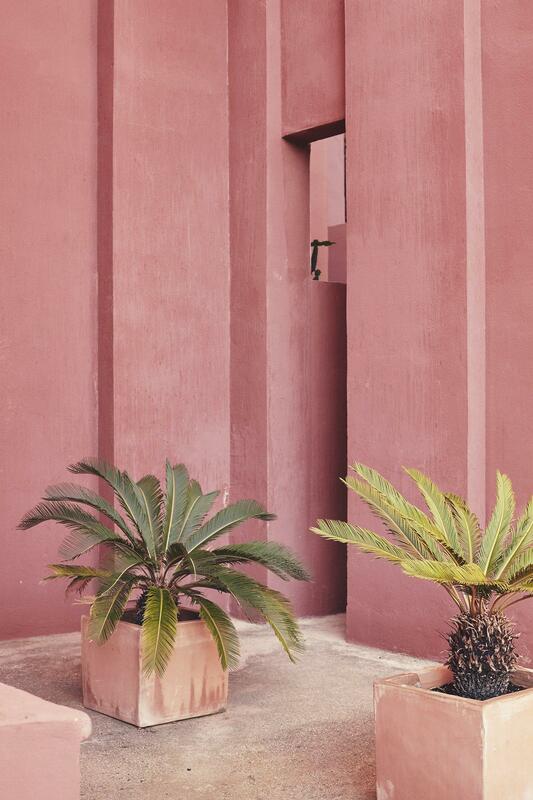 Terracotta is another earthy material that can find new life when used in ways even slightly unexpected. 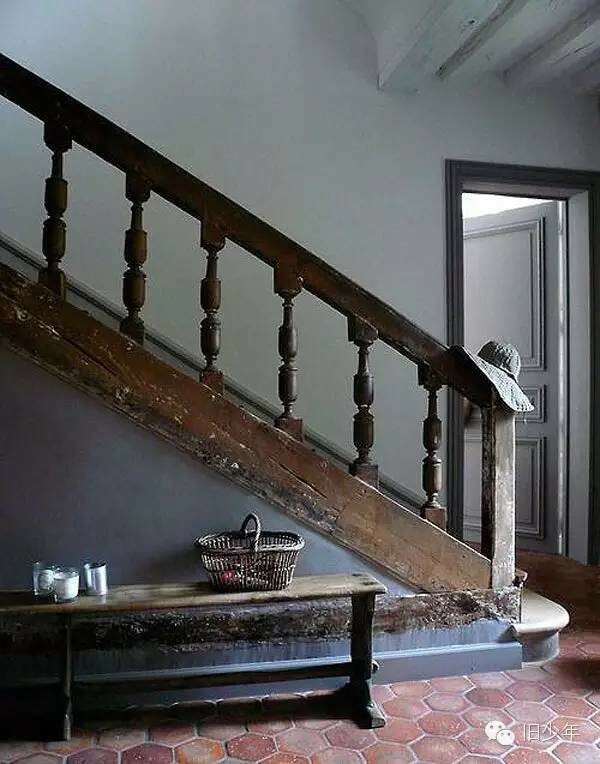 We like the industrial and the simple, so we are particularly fond of terracotta. Apparently it is supposed to be a design trend this coming year, so here are some thoughts and images for you from Central London Lofts. 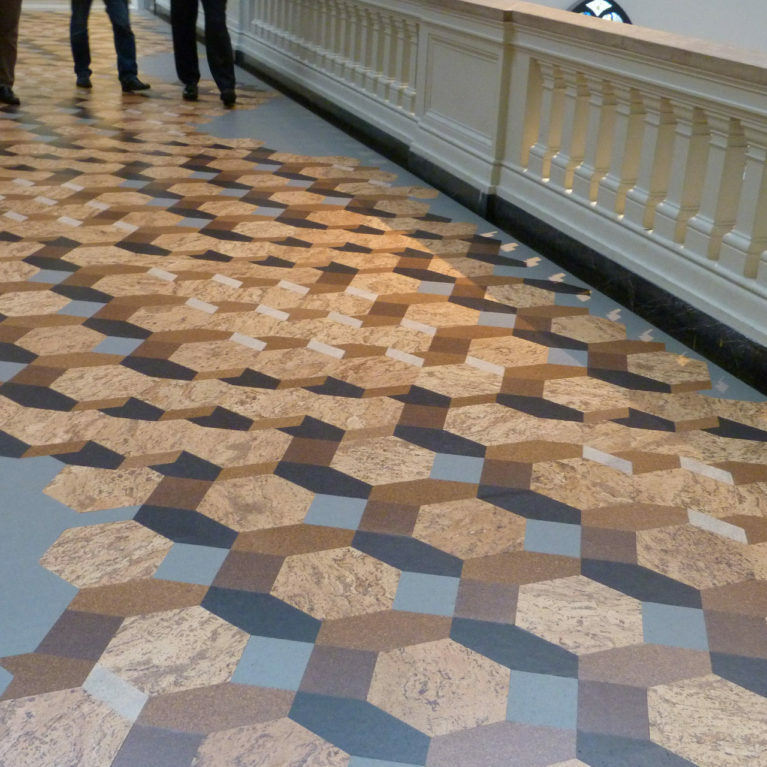 Although very nice, this is a traditional use of terracotta floor tiles. This aesthetic can be refined in any number of ways to suit your particular tastes and would be a long-lasting investment. Another traditional use of terracotta, on a smaller scale. 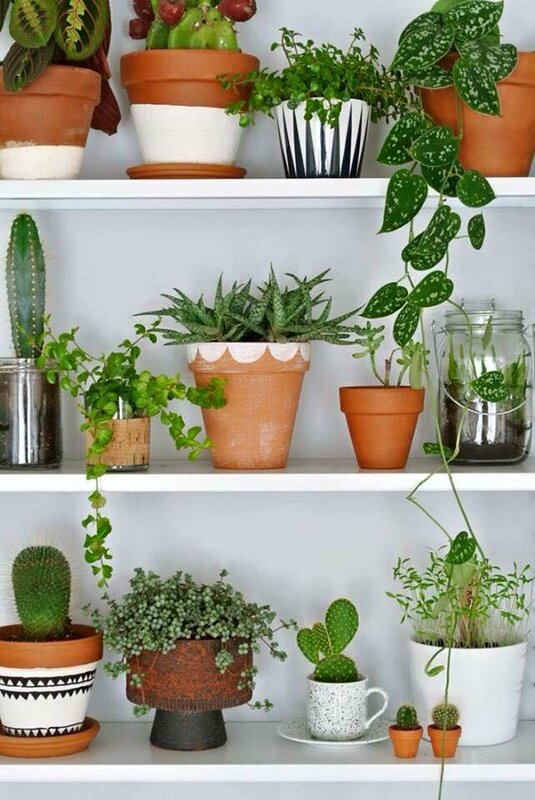 Loft spaces are often light-filled, especially if you put in skylights, so we are always on the lookout for ways to incorporate plants into these spaces and designs. Here, a few accessories placed in between the pots personalise the look. 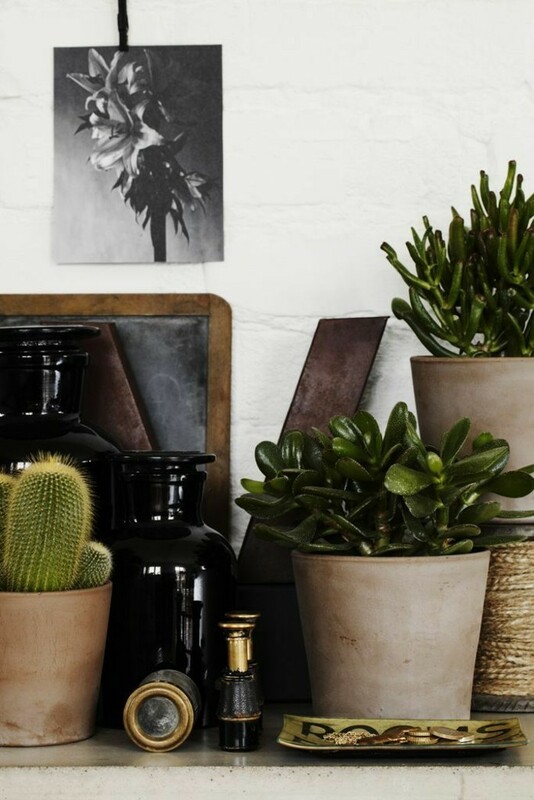 A different approach to mixing terracotta pots up. Readers of our earlier blog on cork should note the pot on the middle shelf, second to left! 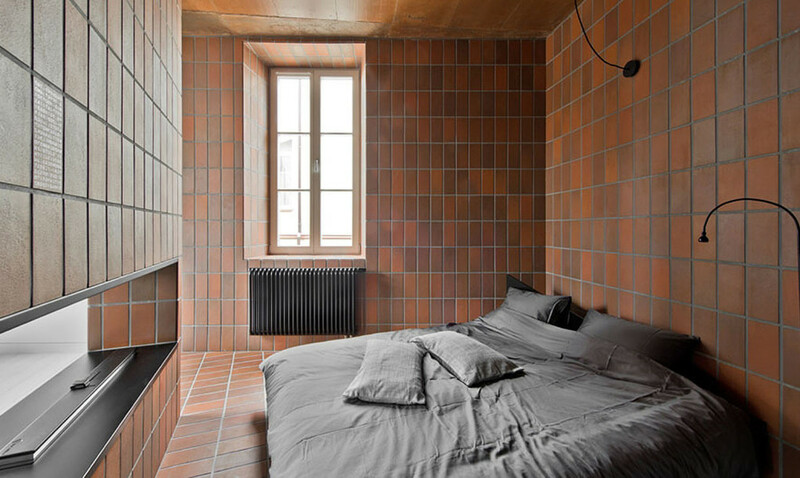 A more contemporary use of terracotta, and a masculine one. 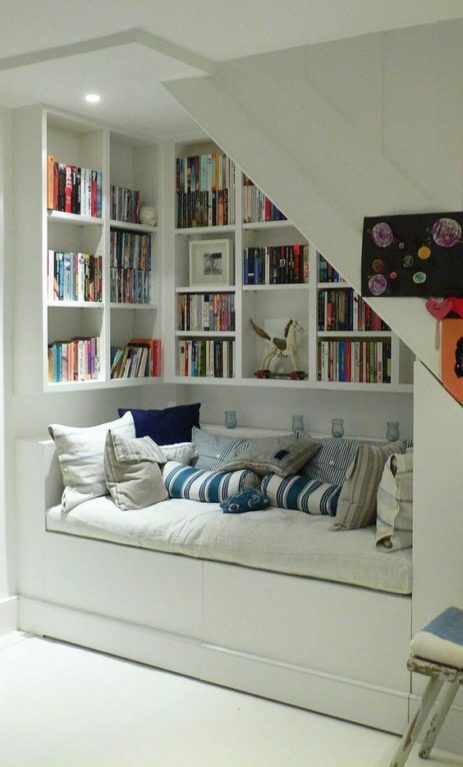 This would suit a bedroom at the top of the house – earth and air! It’s very versatile too – you could turn the room to any other purpose quite easily and still keep a sense of strong individuality. Earth and light, in a different form. This also makes us think of a Damien Hirst pill sculpture. Morocco is one of our favourite places – the smells, textures, colours, and patterns never fail to fill us with energy and life. It is also very good inspiration for work as the spaces there are open, atmospheric, and cleverly and beautifully constructed. 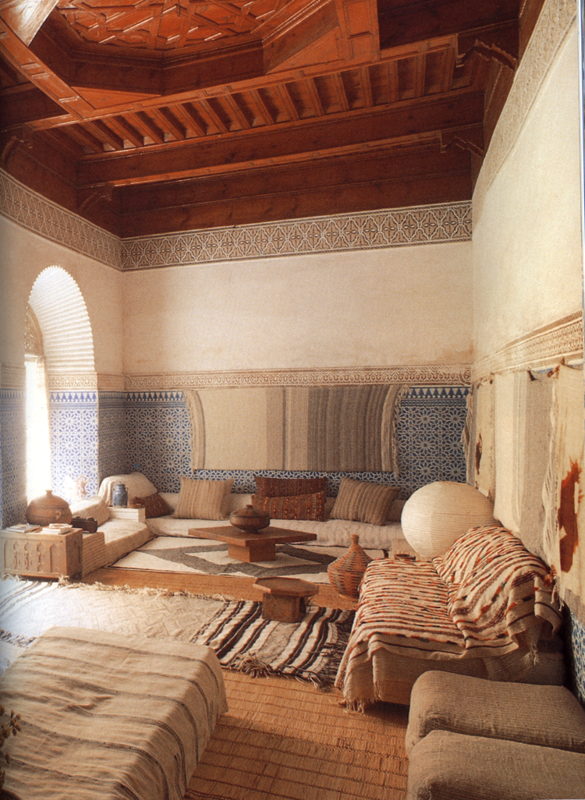 Witness the use of terracotta in a time-honoured Moroccan home. 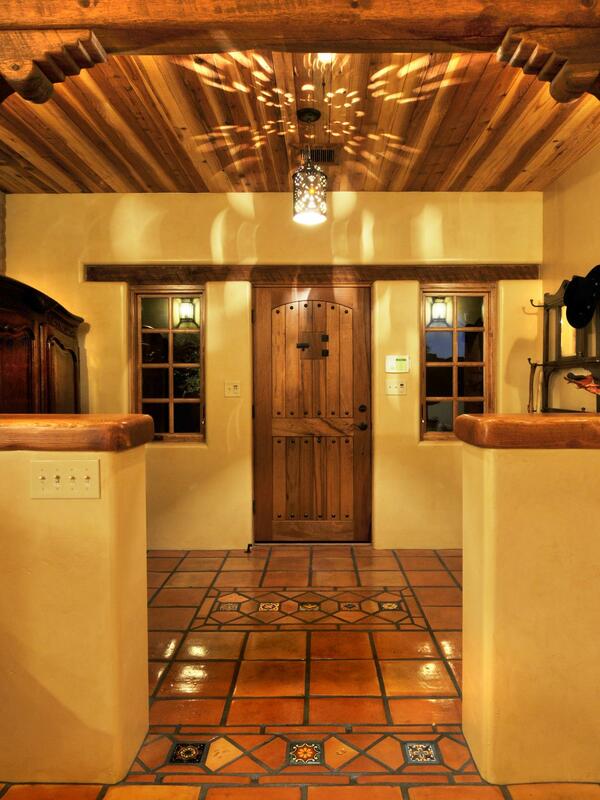 Spain and Mexico are two other cultures that traditionally use terracotta. This room is deceptively simple – but the use of colour, plants, and terracotta segments is very sophisticated and brings vitality to the design. This is the type of space that never, ever dates. 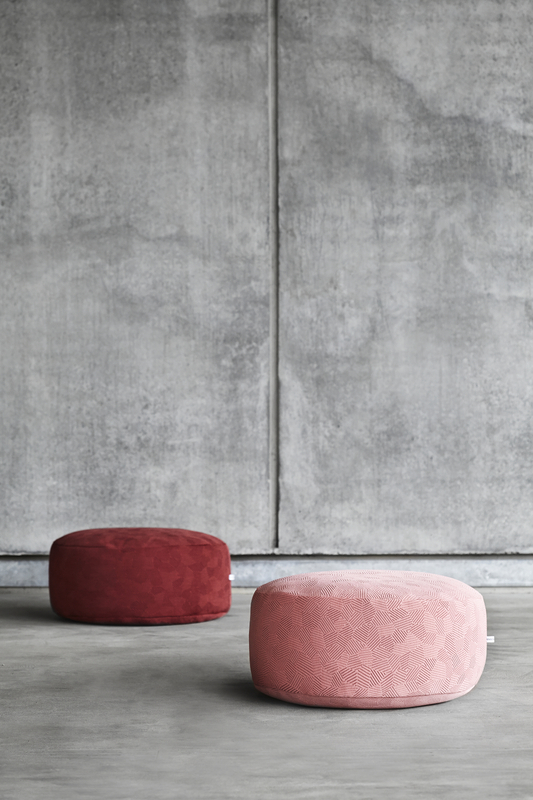 Terracotta is a colour too, and these poufs would be a handy way to try it out in your living space in a way that’s not too permanent, but not too temporary either. 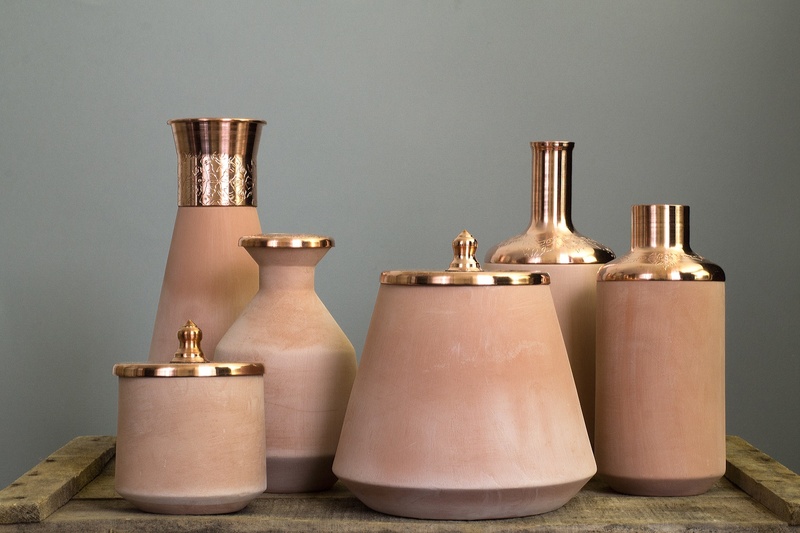 These pots and flasks are streamlined while also being sensual. Pairing terracotta with metal really works, especially with the considered shapes. Either singly or grouped together, they are striking and could easily come from a much earlier era – they make us think of wandering through an anthropological museum. We’d love to see them in a bathroom. A subtle combination of materials presented in a way that feels honest. We particularly like the weathered veneers – as builders, we have to continually consider time. 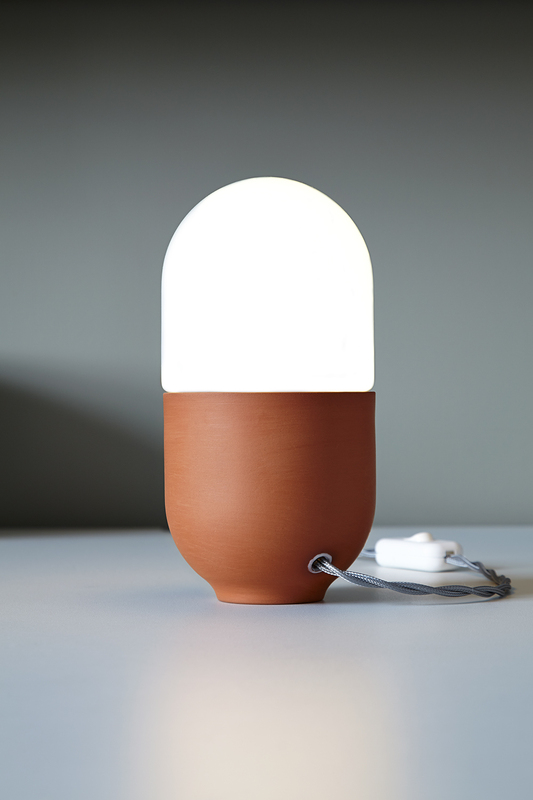 Pristine, sparkling white and rough terracotta do not need any other accessories. 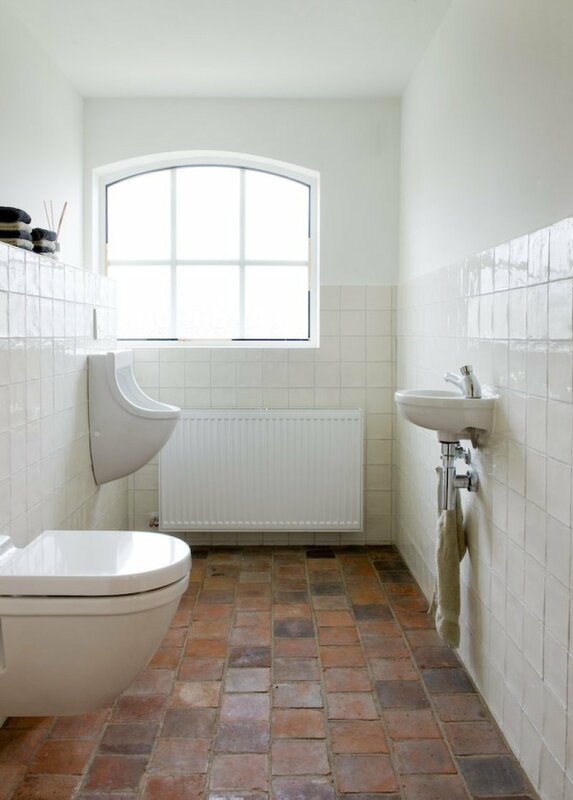 This bathroom would make a memorable en-suite to a guest bedroom at the top of the house. Love Terra Cotta? See More Design Inspiration!